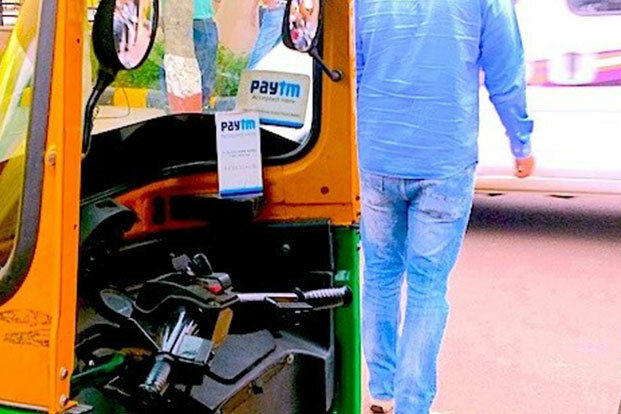 Paytm has invested an undisclosed amount in Noida-based mobile loyalty and data analytics startup MobiQuest. Following this investment, Paytm will offer MobiQuest’s data analytics and precision marketing solution called M’loyal to its over 5 million merchant base to acquire, engage and reward their customers. Previous investors in M’loyal include Sasha Mirchandani, founder and managing director of Kae Capital; Sunil Goyal of YourNest Angel Fund; Anil Joshi, managing partner of Unicorn India Ventures; and Puru Modani. Some of the companies and brands that already use M’loyal include kid’s fashion brand Gini & Jony, Delhi-based shopping mall Select CityWalk. clothing brand AND, and healthcare and wellness company VLCC, among others. M’loyal lets merchants set up omni-channel brand loyalty program, which could be points based, frequency based, discount based, multi-tier, item based, etc. The loyalty program can be integrated with the merchant’s Point-of-Sale (PoS) or e-commerce channel. Customers can be captured at both offline stores and online using QR Codes, short codes, mobile app, Google Adwords, Facebook ads, online advertising, with the customer’s mobile number becoming the unique identifier. It also offers a variety of analytics options by tagging customers to their purchase/transaction/billing through both PoS and e-commerce outlets. Following which their purchase behavior, buying patterns, location stats, product category usage, brand affinity, etc. can be analysed. MobiQuest has several other products on offer, besides M’loyal, and works with clients across government, commercial and banking & finance sectors. Some its clients include Avaya, Citibank, DBS Bank, Housing and Development Board, Singapore’s Ministry of Health, and Singtel among several others. Given that Paytm has been increasingly focusing on its e-commerce business Paytm Mall, this investment in MobiQuest makes a lot of sense. Last month, Paytm Mall entered the O2O commerce space and started cataloging inventories of physical shops to enable discovery of products online. At these stores, consumers will be able to scan Paytm Mall QR codes in order to follow the store online, place orders and get offers, while the retailers will get access to customer analytics for better targeting of existing users. The fact that M’loyal allows merchants to capture consumer data using QR codes at PoS, means that targeting consumers will become that much more potent, and in turn drive more traffic to Paytm Mall.